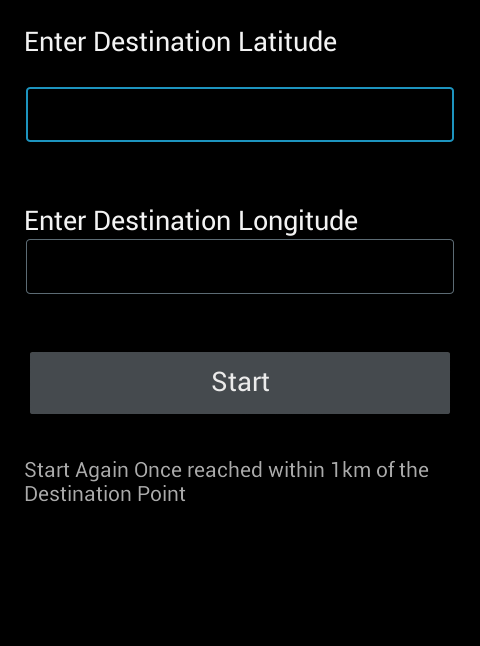 Here is source code of the Program to demonstrate a Program that Accepts a Location from the User, Run in the Background, and Notifies the User when he/she is within 1Km from that Location in Android. The program is successfully compiled and run on a Windows system using Eclipse Ide. The program output is also shown below. "You are within 1 km from ur destination!! ", "You are "
+ distance + " meters "